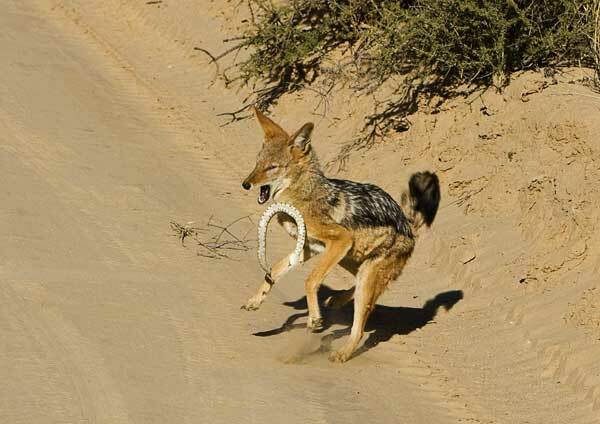 Valmai le Grange took these photographs in the Kgalagadi Transfrontier Park. 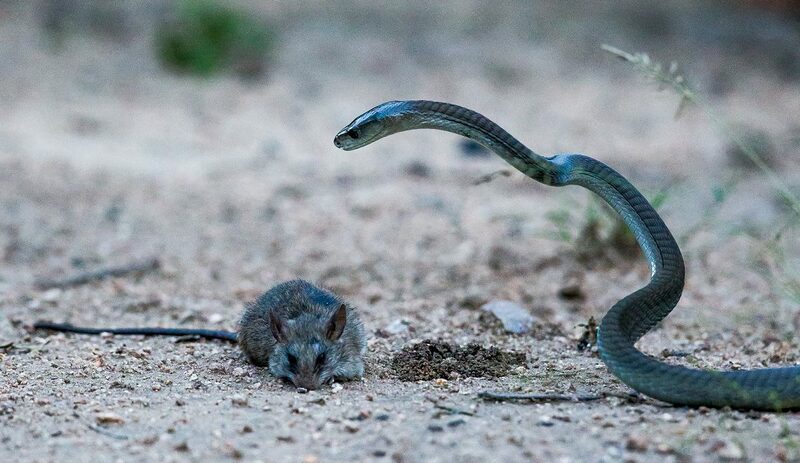 Her sequence was awarded second place in the fourth round of the Captured Experiences Photography competition. 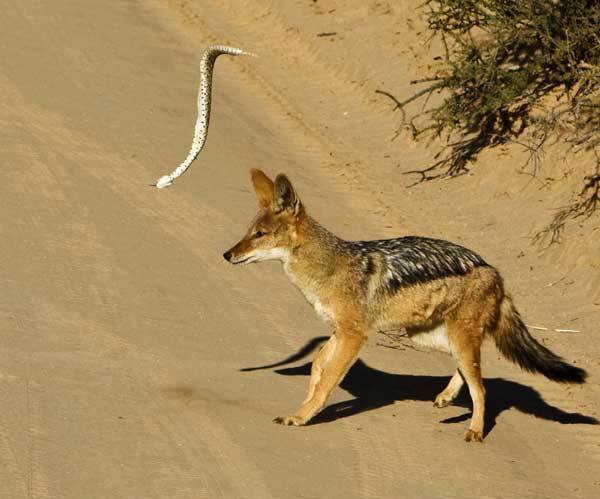 The jackal was never bitten, but very unfortunately we never saw the end. 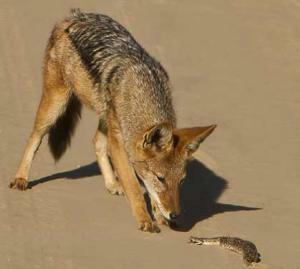 He started eating the snake. 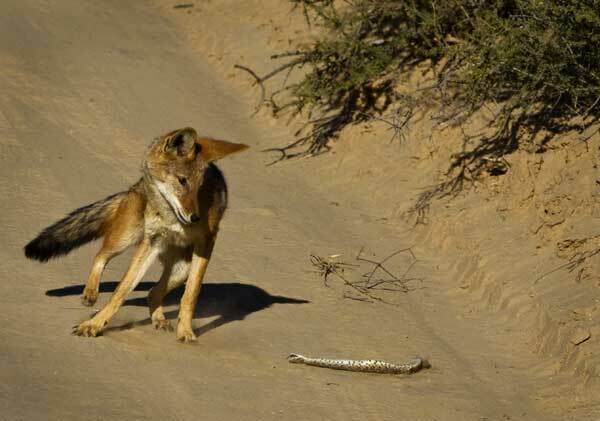 Although the car was sprouting binoculars and cameras from the windows, a fellow traveller did not appreciate the fact that we were watching a mere jackal. 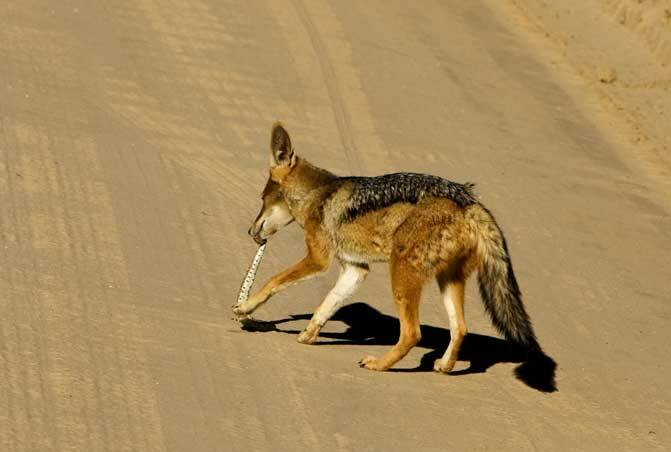 The less considerate driver simply rushed past and left us in a cloud of dust, and the jackal with snake dived straight into the “drie-doring”!